Easy Appetizer Recipes like these Stuffed Mushrooms are AMAZING! 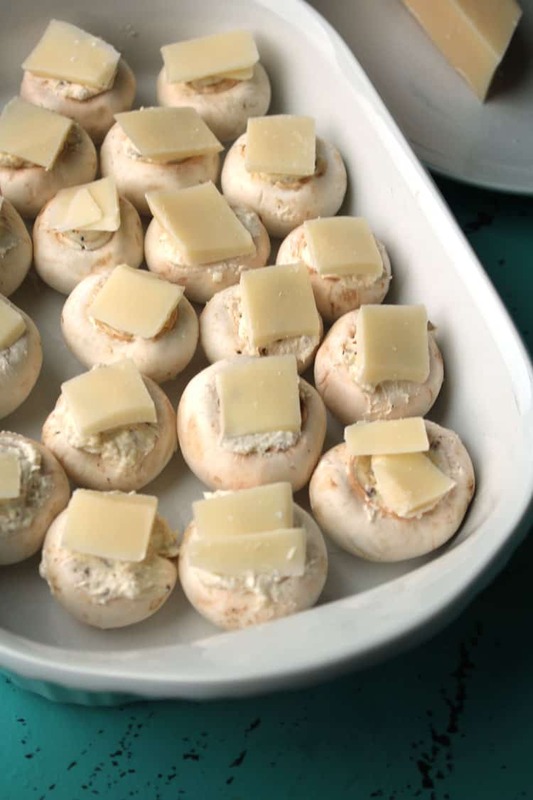 One of my favorite finger foods to grab at a party are stuffed mushrooms. 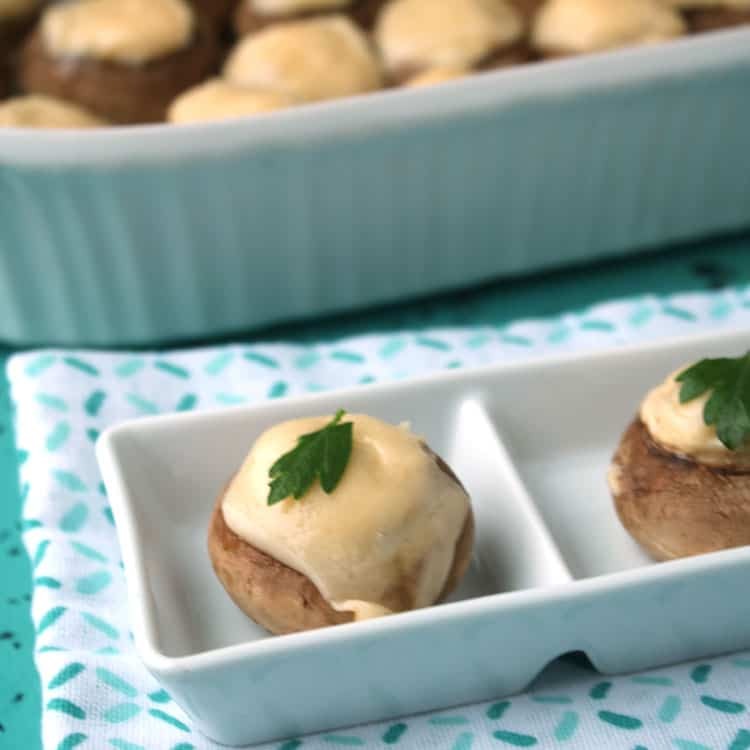 For me, a critical must in any appetizer recipe is that it doesn’t take too long to prepare or to cook, and our stuffed mushrooms recipe fits the bill. When you start working with the mushrooms, the first thing you’ll need to do is clean them. It probably sounds redundant to put in this simple step, but it is so essential. You want shiny mushroom caps for making stuffed mushrooms. 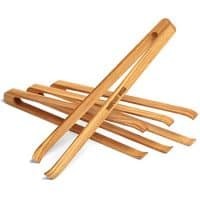 Use a damp paper towel or a soft mushroom brush (have you seen one of these?!) 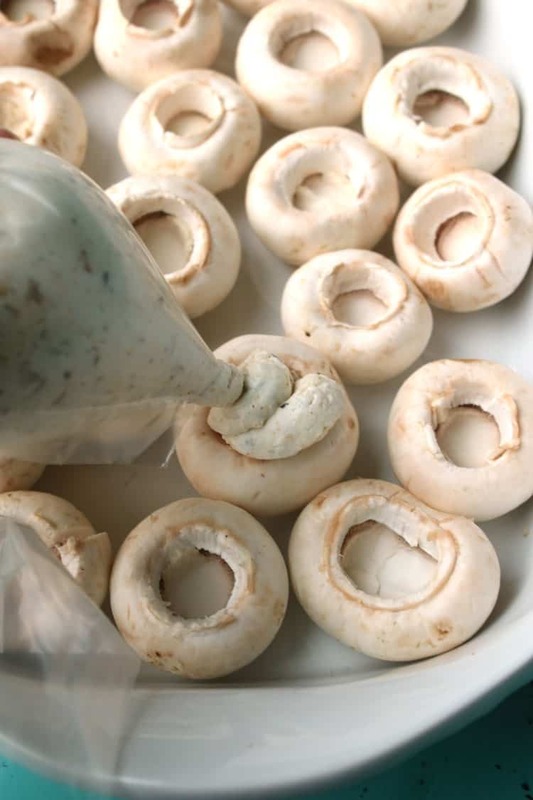 to wipe off each mushroom. 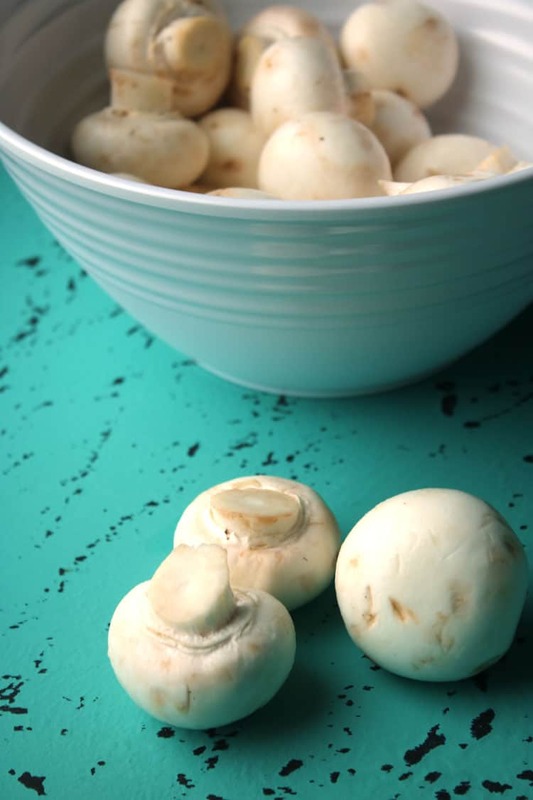 You can lightly rinse the mushrooms with cool water and then pat dry with paper towels, but make sure you do not fully immerse or soak them! The next step is to remove the stems from the mushrooms. This is easy once you’ve practiced on a few. The trick is to loosen the stem. I do this by working my way around the base of the stem and pushing against the stem. You’ll hear a little popping sound and feel it come loose. If you don’t loosen the stem prior to breaking off the stem, you run the risk of not breaking off the entire stem. And, the reason you want the entire stem off is so you have more room to stuff the mushroom. These stuffed mushroom caps are delicious and bite size. Even with the cream cheese, having one or two is pretty much guilt free, right? I mean, you’ve got the healthy mushroom, the calcium…. and oh! it’s just so good. There is just something about cheesy appetizers that I love. Sharp Cheddar Cheese Fondue, Fried Mozzarella Sticks, and we can’t forget about Caprese Salad. If you need more appetizer ideas, we love those we found in this fun cookbook from The Dating Divas. Updated 11/18/17- I’ll go step by step with this recipe so you can see the process used to make these yummy stuffed mushrooms. Chop up about 1/4 of the removed stems and a couple cloves of garlic nice and fine. Then, cook this over medium low heat in a couple tablespoons of oil. It’s time to add in the cream cheese. Yum! After mixing all the stuffing ingredients together, put the filling in a zip bag or other plastic bag (a piping bag if you have one!) and fill each of the mushroom caps. It’s good to brush them off so they are even with the top of the cavity so they aren’t overflowing. And then top each of the mushroom caps with a cheese slice prior to putting the pan of mushrooms into the oven. Don’t completely fill the bag. Make sure to leave 1/4 – 1/3 empty to avoid mishaps. Pinch and twist to close. Once the filling has been added, push it all down towards the tip of the bag. Then pinch and twist it shut right at the spot where the filling starts. This will keep it closed and eliminates air bubbles from forming in the bag. Hold at the top. Hold the piping bag up toward the top, rather than the bottom. Use your other hand to keep it steady as you work. Stuffed mushrooms always seemed fancy and difficult to me… like something I couldn’t tackle. Until I tried making them the first time and I realized that it isn’t difficult at all. Now that I’ve made them a few times, I know it’s a recipe I can throw together pretty quickly to serve at a party. Or just for an appetizer to dinner. 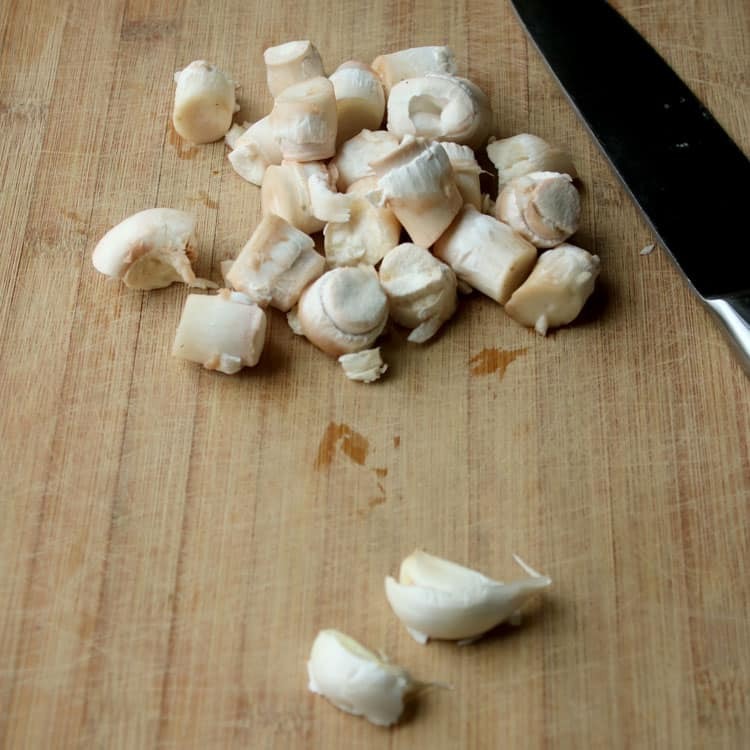 Other than a garlic press, you don’t need any special tools to make this tasty appetizer. They are so versatile! 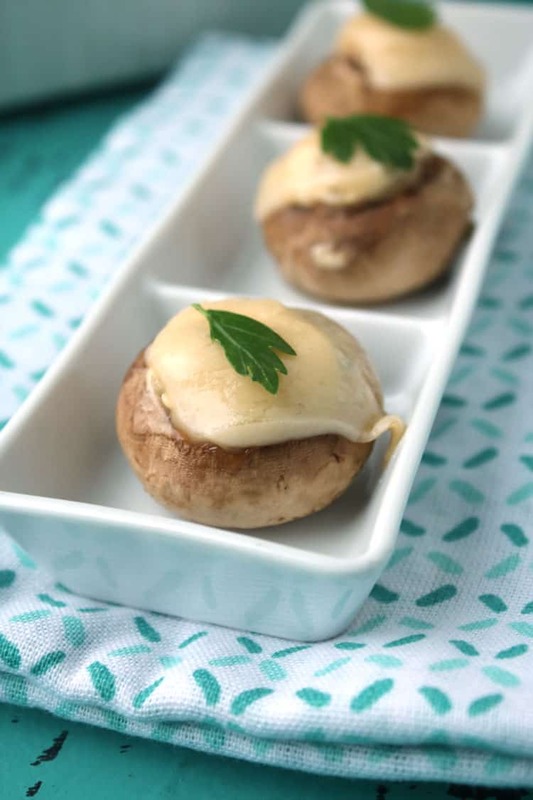 These Stuffed Mushrooms can be served throughout the year, and are suitable for all sorts of different occasions. Perfect for elegant cocktail parties and fancy holiday meals, yet light enough for bringing to summertime picnics and barbecues. I’ve even made them as a fun side to go with a basic weeknight dinner. Make-ahead Ease! 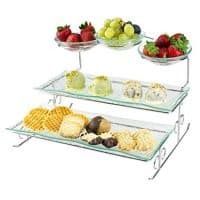 You can prepare these the morning of your event, or even the night before. Just mix up the filling, stuff the mushrooms, cover the baking dish and pop it in the fridge until it’s time to bake and serve. Customize the flavors! Try adding your favorite herbs, such as thyme or tarragon, to the filling. 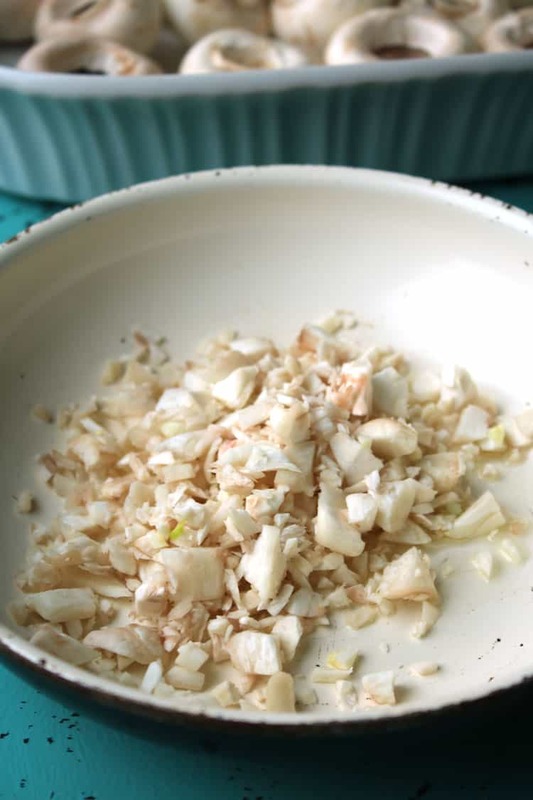 Toss in some finely chopped nuts for a bit of crunch. 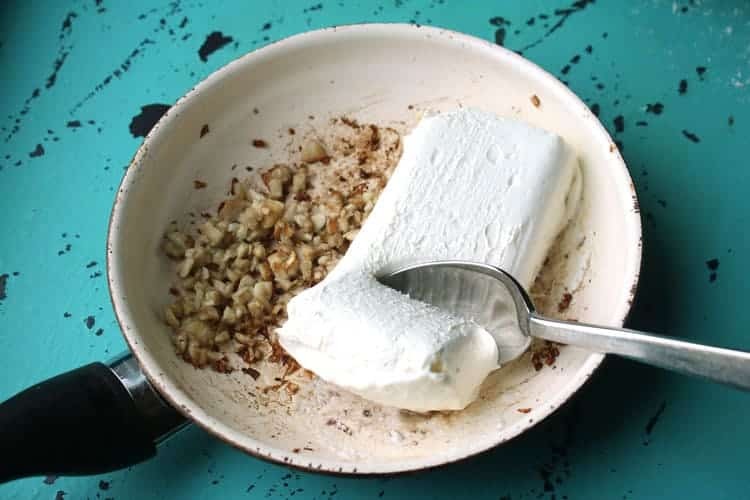 Or swap some of the cream cheese (or even all) with another type of soft cheese like chèvre or feta. 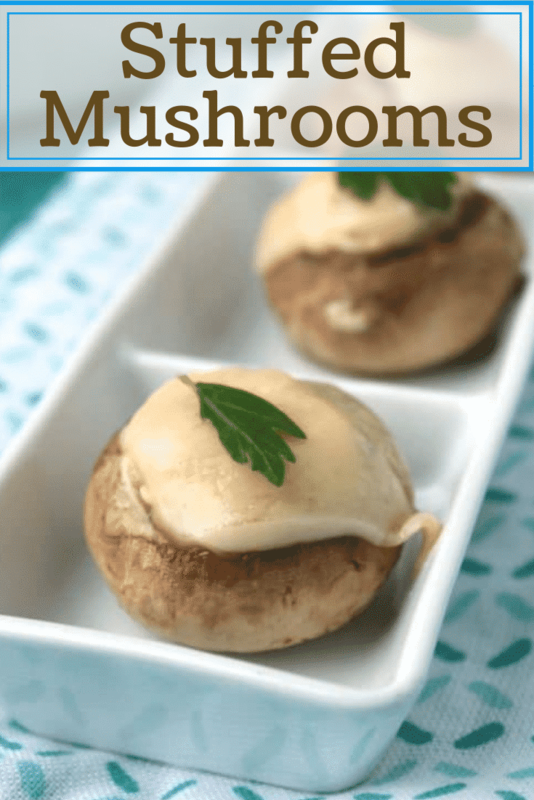 Fill each mushroom cap with a nice heaping spoonful of the filling and place on a cookie sheet. When they are all filled, place in preheated oven for 20 minutes. The filling in this recipe is enough for 18 medium-sized mushrooms. 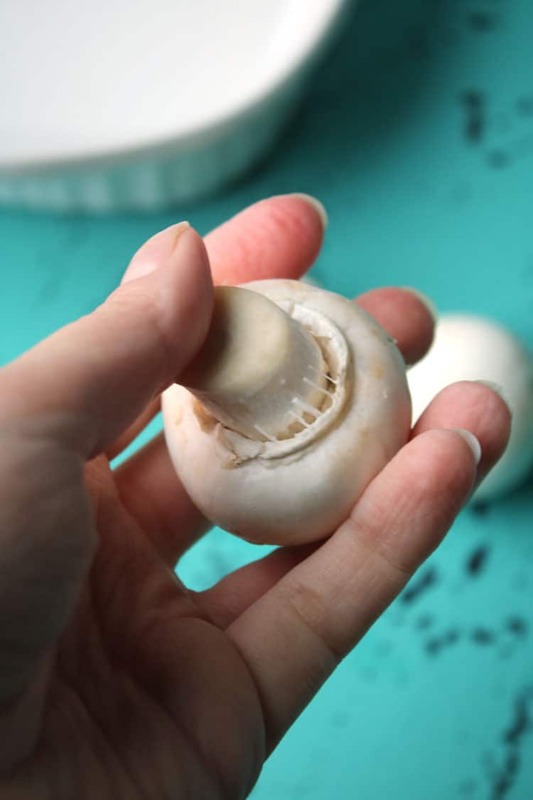 If you have smaller mushrooms, you could make up to 24 with the filling easily. Enjoy! 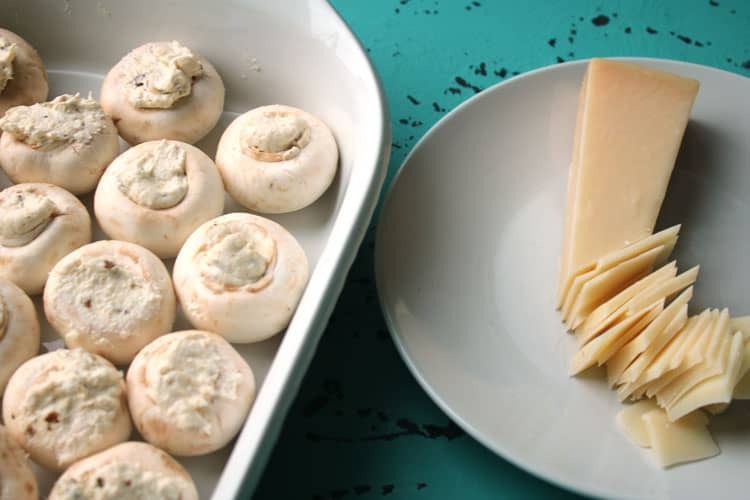 I have gotten several recipes through Pinterest but for some reason I am not able to see or print your recipe for “Stuffed Mushrooms.” I have tried every path available to open it and save it but nothing works with my browser. Is it possible for you to send me the instructions on how to prepare and cook them? It would be very much appreciated. Thank you. I can’t find this recipe either. Just the video but no portions for ingredients. Really want to make this weekend! So sorry! It’s been updated. Can u make these ahead and bake right before dinner? For sure! Best way to save time. It doesn’t say how long to bake them. It does actually say to bake for 20 minutes. They are delicious! Enjoy! So sorry! It is visible now. 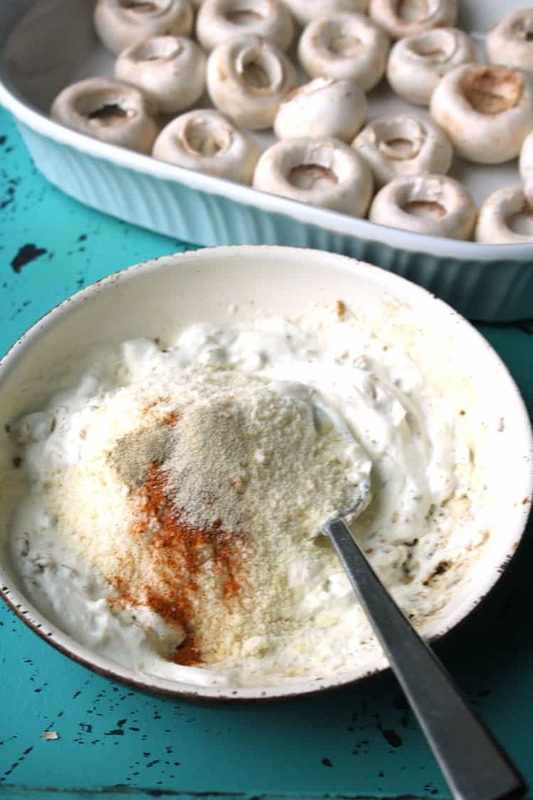 Your stuffed mushroom recipe is no longer on your website, only the video. I had pinned your recipe to make today, but now the recipe is gone! I don’t know how much garlic or parmesan cheese to use!! Help! So sorry! Ingredients are listed at the bottom with the recipe. There was a plugin error that has been corrected. Sorry! Still can’t retrieve the recipe. Bummer! Not sure what happened, but the recipe is back up. Yummmm!!! Thanks for the awesome recipes!! So do we only use 1/4 of the mushroom stems total, or just in the beginning? Do I add the rest of the chopped stems along with the cream cheese? or just the cream cheese and parm? 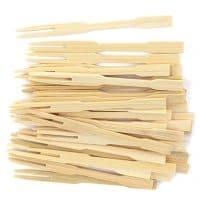 1/4 of the stems is all you use. Add the cream cheese and parm to those, and mix together. That’s what you stuff the mushrooms with. Enjoy! 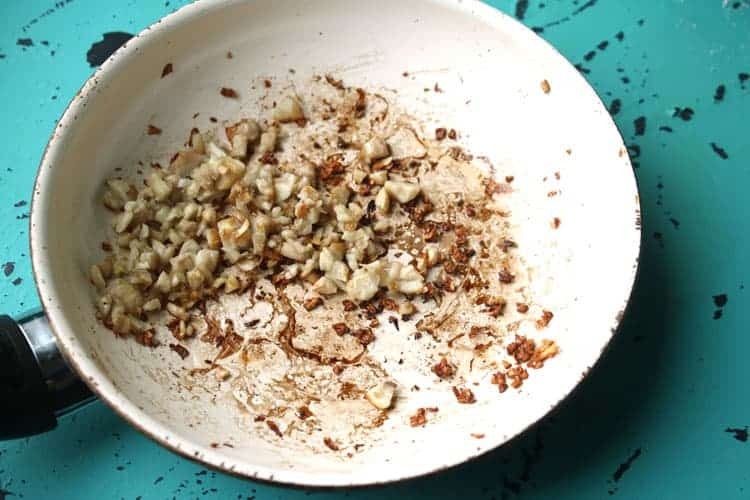 One comment: I used 18 mushrooms large enough for two or three bites, and I was surprised how much filling I had left over. I could easily have filled at least 10 more. Thanks for this easy and delicious recipe! What cheese did you top it with? I used a hard Parmesan cheese sliced very thinly. I made these today with goat cheese instead of cream cheese and small pieces of gruyere on top. Divine! Made these for Christmas today and they were unbelievable! So delicious!! Has anyone used portobello mushrooms? I want to try it with those. Could you make the filling a day ahead then stuff and cook these the next day? Yes! You certainly can make the filling ahead of time. I couldn’t copy or paste, and there was no print option. Thought it would be a great recipe to have. There is a grey icon that says print. That’s the print button. It should open the recipe up in a printer-friendly page. 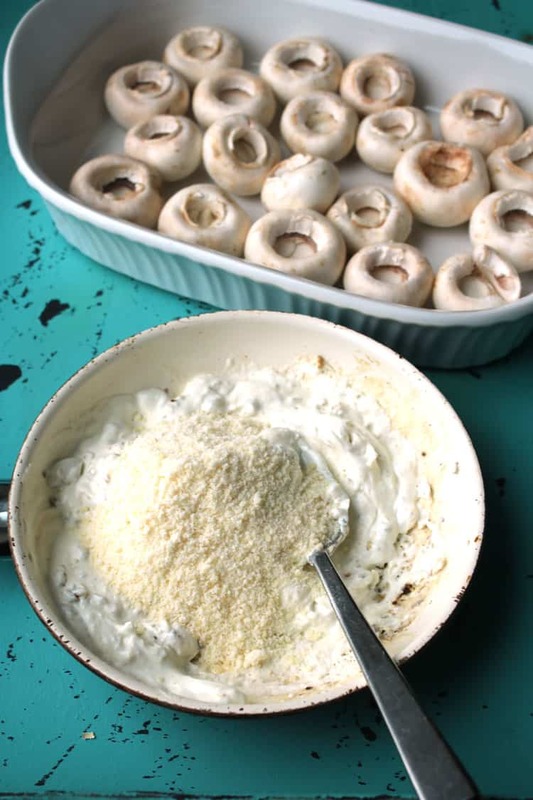 Do you suggest putting a little bit of oil on the bottom of the cookie sheet to give the outside of the mushroom a little more flavor or just stuff it and top with cheese and just bake ? You certainly could, but I’ve never found that necessary. I have not done this myself so I’m unsure of the quality. Let me know if you do an how it turns out. Thanks. I absolutely love these mushrooms! And so does everyone at our get togethers. I put a slice of provolone on top and it is delicious!